Environmental, social & governance (ESG) ratings are top-of-mind for public company officials and investors alike, having emerged as a leading priority during 2018’s proxy season. While the increased focus on these issues is generally viewed as a positive for society, the ratings themselves have come under scrutiny. Shareholders are turning to these ratings in good faith as they make important decisions, but they may not be getting the complete picture. 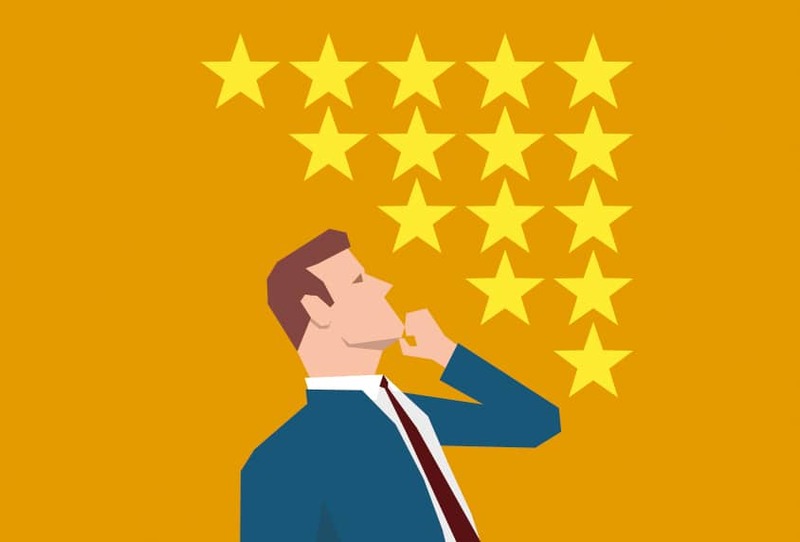 What are ESG ratings and how are they determined? Most public and some private, companies are evaluated on their ESG performance by third-party ratings providers. These agencies set out to measure the sustainability and ethical impact of a business. Environmental criteria include carbon emissions, water stewardship and the protection and respect of other natural resources; social criteria apply to a company’s treatment of its internal and external stakeholders and the communities in which it does business; governance criteria factor in the company’s management structure, compensation, internal controls, shareholder rights and audit procedures. While ESG information is, on the face of it, quite valuable to investors as they make decisions about a company, there are a number of concerns about how this data is collected, evaluated and translated into ratings. Methodology, level of engagement with the rated company and the extent of coverage vary widely from provider to provider. This lack of standardisation can obviously limit the effectiveness of these ratings for institutional investors and other interested stakeholders. And one of the biggest qualms is that companies are being rewarded for having comprehensive disclosure about their efforts rather than for actually having comprehensive programmes. While financial gain has always underpinned business and the capital markets, the idea of making a positive impact with these assets is by no means new. Starting in the middle of the 20th Century, trade unions – managing massive pension funds – devised ways to invest their money for the greater good. A pivotal period in the history of corporate social responsibility (CSR) and socially responsible investing (SRI) came in the 1970s. With South Africa in the throes of apartheid and the rest of the world looking on in revulsion, companies from around the globe began to divest from their dealings with South African entities. They were largely influenced by Reverend Leon Sullivan, a member of the General Motors board, who had developed a code of conduct for US companies doing business with South Africa designed to impose economic pressure and ultimately stem the scourge of apartheid. The following decade, James S. Coleman introduced the concept of social capital into the measurement of economic value in an article titled Social Capital in the Creation of Human Capital in The American Journal of Sociology. A decade after that, in 1998, sustainable business consultant and author John Elkington published Cannibals with Forks: the Triple Bottom Line of 21st Century Business. In coining the phrase ‘triple bottom line’ he put environmental and social factors on the same playing field as financial ones in determining a company’s value (25 years later, Elkington called for a retooling of his own concept in the Harvard Business Review, calling for more focus on personal and environmental wellbeing and less on pure profit and loss). In the mid-2000s, the United Nations established the Principles for Responsible Investment (PRI) Initiative through its Environment Programme Finance Initiative and the UN Global Compact. Since 2006, some 1,800 entities have signed on, including hundreds of asset owners, investment managers and professional service partners. PRI created a framework that improved the analysis of ESG issues in the investment process and encouraged companies to exercise responsible practices. Over time, studies emerged showing that companies and funds with higher marks for their ESG practices had better financial performances. The business of ESG ratings became codified. 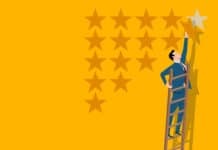 There are ‘at least 249 different products that rate, rank or index’ companies from an ESG standpoint, according to Stephanie Mooij, a doctoral researcher at the Smith School of Enterprise and the Environment at Oxford University. Some of these rankings have emerged as the preeminent benchmarks, though as yet there is no one gold standard. MSCI ESG Research is one of the largest and most widely used ESG ratings providers. Founded in 2010, MSCI ESG provides coverage for 6,000-plus global companies and 400,000-plus equity and fixed income securities, using a ratings scale that ranges from ‘AAA’ to ‘CCC.’ Researchers evaluate 37 key issues, separated into three pillars (environmental, social and governance) and 10 themes (climate change, natural resources, pollution and waste, environmental opportunities, human capital, product liability, shareholder opposition, social opportunities, corporate governance and corporate behaviour). Launched in 1998, RepRisk rates more than 84,000 public and private companies across 34 global sectors, with a ratings scale that ranges from ‘AAA’ to ‘D’. RepRisk focusses on 28 factors connected to the Ten Principles of the UN Global Compact, which are divided into environmental, community and employee relations and corporate governance issues and also assesses ESG risk exposure over two- and 10-year timeframes. Thomson Reuters keeps a database on 7,000-plus global companies, containing ESG information based on the companies’ own annual reports and websites, corporate sustainability reports, SEC filings, news coverage and more. For one in seven of these companies, the data dates back some 15 years. Thomson Reuters covers 400 metrics and integrates the data into the workflows of academics, asset managers, corporates and investment bankers/advisors. Sustainalytics emerged in 2008 and also covers 7,000-plus global companies, dividing 70 key ESG issues and indicators across environmental, social and governance lines. These indicators are broken down into three categories: preparedness, disclosure and performance. Glass Lewis has also partnered with Sustainalytics and utilises its 0-100 ratings in the Glass Lewis Proxy Paper. The ISS E&S QualityScore is one of the newer ratings, having been launched in February 2018. With its zero to 100 classification system it takes into account some 380 environmental and social factors, in areas, such as environmental risk management, human rights, waste, toxicity, product safety and quality. Other popular ESG yardsticks abound. For example, Bloomberg provides ESG data on more than 11,000 companies using 700-plus indicators sourced from company filings and third-party information. Corporate Knights magazine publishes an annual Global 100 list, an index of the ‘most sustainable corporations in the world’, which it compiles by analysing publicly available, company-verified data against 21 key performance indicators, including resource, employee and financial management, clean revenue and supplier performance. The Dow Jones Sustainability Index, which marks its 20th anniversary in 2019, surveys 3,400 listed companies each year and combines that data with investors’ sustainability and risk/return objectives. While the intent may be consistent, methodologies vary greatly from one ESG research and ratings provider to the next. Some look at a vast universe of public and private companies, while others are much more limited in scope. Some leverage hundreds of distinct metrics, while others are more tightly focussed. Some companies use letter grades, while some use various numerical scores. As noted above, some providers survey individual companies on their own practices and performance. But many of these scores and lists are compiled using a range of publicly available data, from annual reports to company websites to media coverage, without any participation from the company itself. All of this variation has drummed up an equal amount of scrutiny, certainly from companies themselves, but also from shareholders. 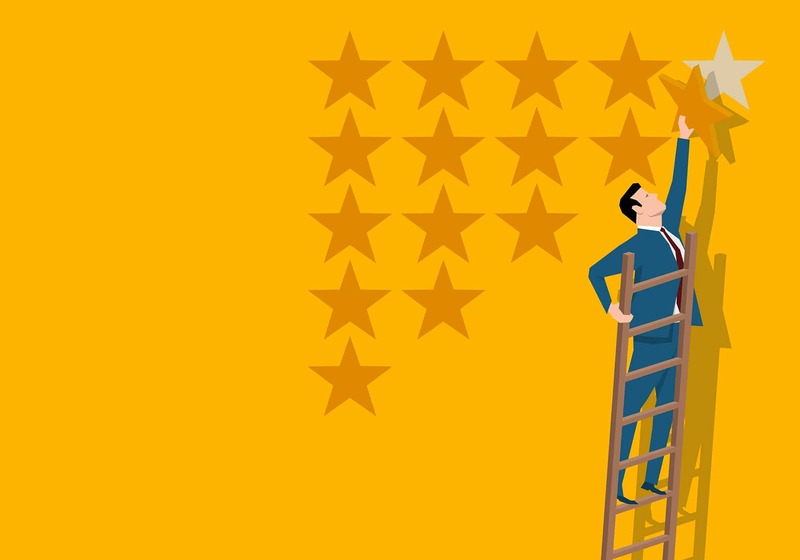 For one, these inconsistencies can translate into the same company carrying different ratings simultaneously – to different degrees of positivity. One of the chief complaints comes down to facts versus appearances. That is, the reliance on publicly available data comes with the risk of valuing a company’s disclosure practices more than its actual ESG practices. With so many providers having already asserted themselves over the last 20 years, it seems unlikely that any single one will emerge as the default anytime soon. But that doesn’t mean that the existing providers, with a push from companies, investors and other groups, can’t work towards more standard benchmarks. Enter the Sustainability Accounting Standards Board (SASB), the Global Reporting Initiative (GRI), the Sustainability Consortium (TSC), the International Integrated Reporting Council (IIRC) and the Global Initiative for Sustainability Ratings (GISR) and it’s evident that a number of industry consortiums have cropped up to work towards a more standardised approach to capturing ESG performance. These groups are united in a mission to introduce more regularity to sustainability reporting and yet even they display a lot of variation in their suggested approaches to achieving this goal. Some suggest working within existing legal frameworks while others would rather create something new. Some advocate for introducing industry-specific guidelines while others are focussed on more holistic guidance. The primary point of consensus is in adding more rigour to what is currently a patchwork-like system. A more uniform, transparent approach to collecting data, both from publicly available sources and companies themselves, would breed more consistency from rating to rating, allowing investors to make more informed choices. Moreover, standards would help to alleviate the pressing issue of companies earning higher scores for ‘talking the talk’ rather than ‘walking the walk.’ As it stands, larger companies with greater resources can dedicate more of those resources to disclosure of non-financial practices, over-inflating their actual efforts though well-designed and populated websites, glossy reports and marketing and advertising campaigns. Measuring these companies against the same benchmarks as everyone else can help achieve parity and empower investors to make choices based on the facts. While regulation can be a touchy subject in the business and investment communities, it too could have a role to play in a more standardised ESG environment. At present, regulatory reporting requirements vary widely by jurisdiction and can thus lead to very different ratings for companies operating in the same industry. European companies often boast higher ESG scores than their peers in other regions, for instance. This didn’t happen by accident. In December 2014, the European Union issued a directive on the disclosure of environmental, social and governance information for large companies (those with 500 or more employees), requiring them to publish a non-financial statement annually. These rules apply to more than 6,000 listed companies, banks, insurance companies and other companies that have been categorised as public-interest entities – and the EU reviewed nearly two dozen national, international and EU-based frameworks to create them. While every region harbours different attitudes towards both regulation and disclosure, in order to remain competitive on a global scale, companies all over the world have a vested interest in performing as well as their international peers in ESG ratings. Thus, they too have a role to play in pushing for the adoption of more standardised benchmarks. As the Director of Corporate Governance & Executive Compensation for D.F. King, Zally oversees the strategic advisory team; she advises clients on topics such as investor outreach strategy, best practice and trends regarding corporate governance structures and disclosure, both quantitative and qualitative aspects of executive compensation programs, institutional investor/proxy advisory firm voting policies and regulatory updates. Prior to joining D.F. 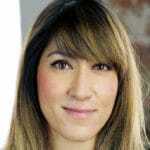 King, Zally managed the North American Research department at Glass Lewis & Co., where she led research teams responsible for analyzing and engaging with over 6,500 North American companies. At Glass Lewis, Zally played a key role in the development of voting policy guidelines, aided in the creation and maintenance of models used to analyze executive compensation, led hundreds of engagement meetings with companies and institutional investors, and co-authored a variety of special reports capturing trends and developments in corporate governance.